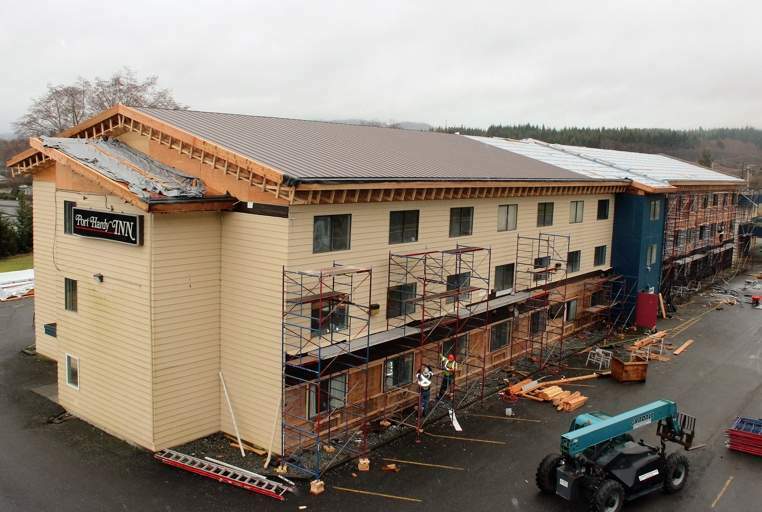 The roof of Kwa’lilas Hotel is well on its way to completion and is expected to be finished by the end of February. The big house roof is a main feature of the hotel and an integral part of the GNN culture. Gilakas’la to the dedicated members of k’awat’si Construction who are working seven days a week to help us reach multiple construction milestones!